When asked what he remembers about last year’s Wealth Professional Awards, Northland Wealth Management’s Arthur Salzer looked back on the event with the pride of being among respectable professionals and experts – all peers in a distinguished field. As the 2016 winner of the iShares by BlackRock Award for Portfolio/Discretionary Manager of the Year, Salzer was among the leaders recognized. 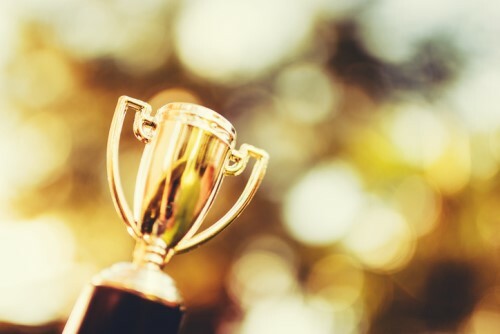 Many people, when presented with an industry award, would feel personal satisfaction and happiness, viewing the honor as a feather in their own cap. But Salzer felt something quite different. After 20 years of managing portfolios for high-net-worth individuals and institutional investors – a career which included stints at a leading bank investment counsel and being mentored for seven years by one of Morningstar’s Lifetime Achievement Award winners, George Frazer–Salzer set off to set up his own independent firm in 2011. He knew what he wanted to offer: unbiased advice, access to superior investments, and transparent fee disclosures that exceed what regulators require. In short, he was aiming for the highest standard in serving clients’ interests. It was a goal he kept in mind even in the firm’s registration. “Northland Wealth is an independent firm that is registered as a portfolio manager with the OSC and as such has a fiduciary relationship with our clients,” Salzer said. This is opposed to IIROC-registered “advisors” – a title afforded to commissioned salespeople under an exemption obtained by the self-regulatory organization. Northland employees who are allowed to dispense advice are registered as “associate advising representatives” or “advising representatives,” and they are bound to maintain a fiduciary relationship with clients. informs Salzer’s thinking as he sees two developing themes for 2017. First, he sees short-term gains in the form of renewed optimism in the US: with President Trump’s pro-business stance favoring infrastructure spending and reduced red tape, the country is set to finally escape its economic malaise. “Canada will be a direct benefactor of these policies,” Salzer said. Longer-term, however, he sees headwinds that can impede the necessary returns to fund pensions and retirement plans. “Low interest rates combined with fair to high valuations across all sectors – credit, equity and real estate – create a situation of lower expected returns going forward the next decade or two,” he said. This has pushed the firm to seek returns in less traditional avenues: private credit, credit hedge funds with relatively low-fee institutional fund classes, private equity, and distressed real estate in the US and England – where the Brexit-weakened pound has created bargains in prime real estate – are some plays that they are exploring. At any prestigious gathering of investment industry professionals, whether it’s a conference in Switzerland or the Wealth Professional Awards in Canada, Salzer brings another meaning to the word “representative.” Not only does he represent the interests of clients, but he also remembers that he represents his firm. Perhaps this emotional investment in the practice he set up almost six years ago shouldn’t be surprising given the many different hats he wears. Since founding the firm in 2011, Salzer has acted as the ultimate designated person (UDP), chief compliance officer (CCO), and as an advising representative (aka a “portfolio manager”). This year’s Wealth Professional Awards will be held in the Liberty Grand in Toronto on June 1. Nominations for the iShares by BlackRock Award for Portfolio/Discretionary Manager of the Year can be submitted here.